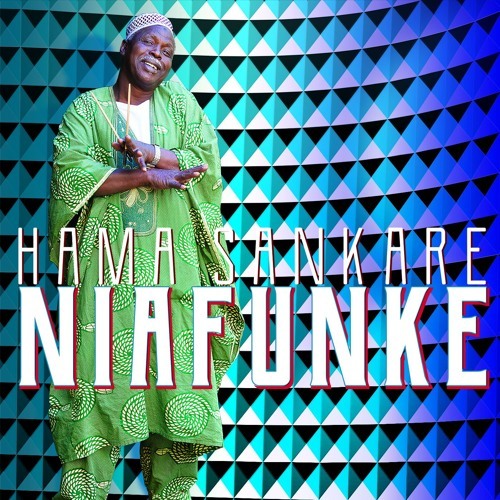 Veteran singer-percussionist Sankare, a former member of Ali Farka Toure’s Groupe ASKO, is a native of Niafunke, Mali, best known as Ali Farka Toure’s home town. What’s different and exciting about this session is the work of Sankare’s backing trio, and especially guitarist Oumar Konate. 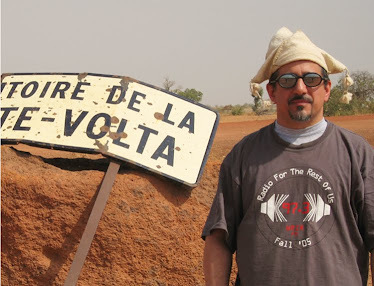 Konate is a headliner in his own right, at the top of guitar slingers-for-hire list in hypercompetitive Mali, and has served as bandleader for the TV show Tounkagouna, basically “Mali’s Got Talent.” Armed with a wah-wah pedal, Konate gives Sankare’s Farka-style Songhai blues a new electric twist – think 1968-vintage Eric Clapton soloing over loping desert blues. It’s a great concept, so great I can’t believe it hasn’t been done before. The best tracks here all feature Konate’s effects-aided guitar: 1 and 2 are short (under 4 minutes), punchy, radio-ready examples of the sound; 5 is long and stately, with lots of room for major statements by Konate; and 3 is the slowest of the set, where Konate’s extended techniques are most fully on display. The rest of the material is good, but these four suggest there could be a whole new sound brewing neat Tombouctou.